Boxer Benny Goldberg was a tough Bantamweight contender, originally fighting out of Detroit, Michigan before moving to Los Angeles in 1944. Ring Magazine's official registry for the 5'5" 118 pound Polish-born southpaw is absent twelve recorded victories, but nonetheless shows 33 wins (14 KOs) in 37 bouts, with only a pair of losses, one draw and one no contest in a career that spanned 1938 to 1950. One of his two losses was a 15-round split decision in November, 1943, against champion Manuel Ortiz for the Bantamweight title at the Olympic Auditorium. He had defeated Ortiz three times before in non-title bouts, all of them in 1938 at the Hollywood Legion Stadium. 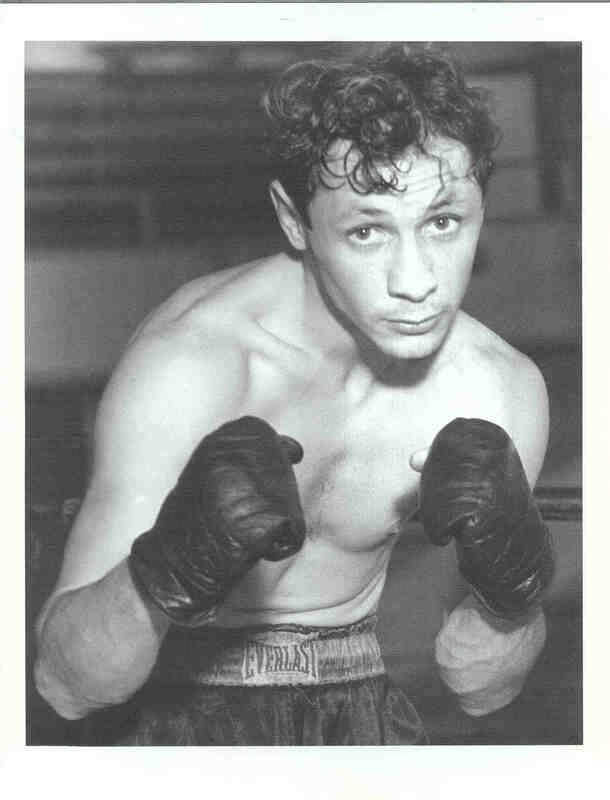 Following a successful amateur career (he reached the Golden Glove finals in Detroit), Benny won the Michigan State Bantamweight Championship from Charlie Parham. His subsequent victories included wins over Joey Archibald, Tony Olivera, Luis Castillo, Lorenzo Zafora and Eli Galindo, all top boxers of his era. Benny won 28 straight fights to earn his title shot with Ortiz. He closed out his ring career with a victory over Pedro Ramirez at the Hollywood Legion. Benny was elected to the World Boxing Hall of Fame in 1994.